So here they are. 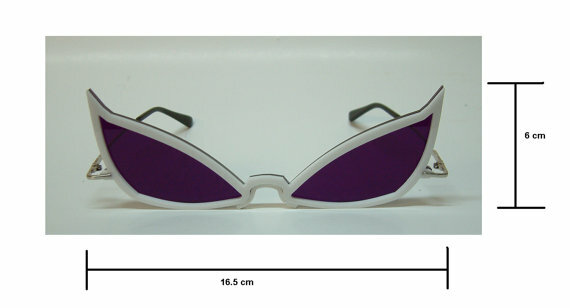 The glasses themselves! This glasses are outstandigly amazing. 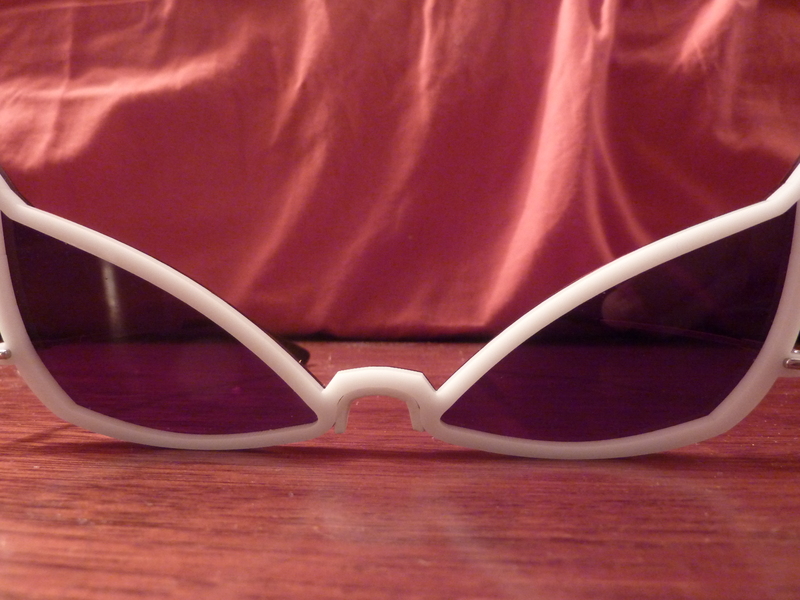 Not only are they incredibly accurate to Doflamingo’s but are also absolutely amazing to wear. I literally keep wearing them all the time, since they are that amazing. This were handcrafted by somebody who makes glasses for a living and they are well made. My only complaint would be that certains parts feel very thing and fragile and could maybe break with a blunt hit. They are still very well executed and fit you right well. There’s also the whole thing of seeing everything purple but you can also just hold them on your forehead. Note that because of the lighting the purple can’t be properly seen. Whenever I can get a better picture I’ll update it.